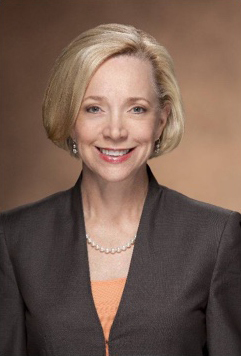 inger Hardage is a dynamic communicator whose content is steeped in experience and rich in wisdom. She accepts limited engagements each year at both large organizations and conferences as well as small, intimate, executive style functions. She has spoken recently at Google, Princeton, and Nespresso. 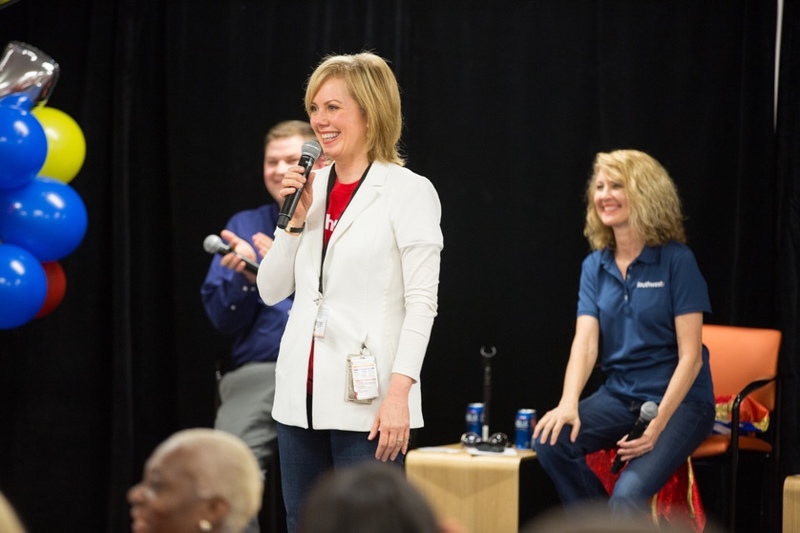 Ginger Hardage truly brought the Southwest Airlines culture to life. You see it on every flight and any every interaction with employees. It is what sets Southwest apart from all the others. In her speeches, she shares her stories and the actions that she took to truly make the difference. She is truly an inspiration to all! Ginger brings constant, positive energy and enthusiasm to all those around her, and that is infectious. She has built superb teams that we are very proud of, and that I know will continue her special brand of excellence. Ginger’s presentation and delivery style were captivating. Interjecting humor, history, and “heart” was a perfect mix. Drawing parallels between her journey in the airline industry and our industry made her presentation more powerful, and our event was an outstanding success. Hands down…Ginger Hardage is a MUST HEAR! 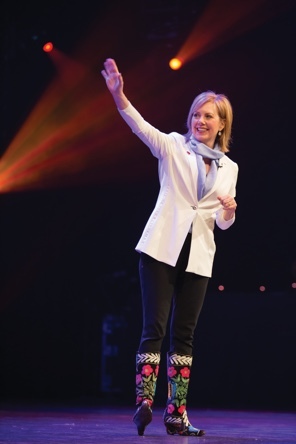 With a smile as big as Texas and brilliant stage presence, she kept everyone on the edge of their seats during our inaugural Leadercast Women’s event (which was simulcast live around the world). Ginger used her charisma and masterful storytelling ability to entertain and enlighten us all! 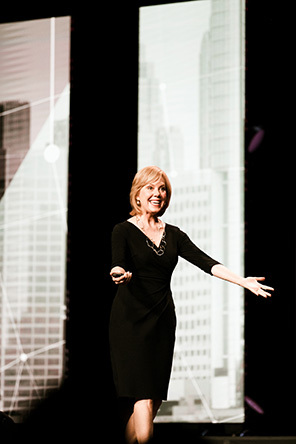 She entered the hearts and minds of attendees and provided actionable takeaways that will have a deep impact on individuals and organizations around the globe. Terrific, Wonderful and the Perfect Message. Every company has a culture. For some, it's a culture of innovation - new, never been done before ideas. For others, it's fun (birthday cakes and costumes are often involved). For some, it’s toxicity and gossip. There are cultures that celebrate loyalty, hard work, or profit above all else. There are cultures that are both intentional and accidental. There are cultures that draw people in and ones that drive people away. There are cultures that detract from the mission of the organization, cultures that must be overcome or compensated for, cultures that derail or dead end. Surely, you can resonate with at least one of those descriptions. But then, there are cultures that are unstoppable. Unstoppable Cultures put people first, are consistent in nurturing their culture through systems, and are relentless in storytelling. In this signature talk from Ginger, she will walk you through these critical characteristics of unstoppable cultures. You will undoubtedly leave with both practical and inspiring ideas on how to begin the journey of building the culture you always dreamed of for your organization. What do you think about when you think about a brand? A logo? A website? A stock symbol? Maybe. But these are just expressions of a brand; they are not what brings a brand to life. So if not these elements, what is the most important thing when we think about our brands? Ginger has a simple answer - people. In this inspiring talk, Ginger discusses why employee engagement is the single most important element when any of us are thinking about our brands. She knows that the way an organization behaves on the inside will find its way to the outside, and that the true character of any company is expressed by its people. 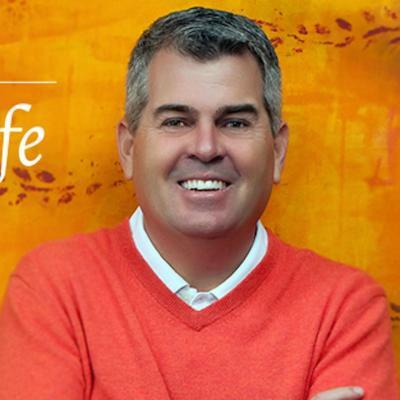 In “Building a Brand from the Inside Out,” learn from this 25-year Southwest Airlines veteran about creating an “employee first” culture where employees are engaged, act like owners, and are connected to their organization’s purpose. If we look back to our parents’ and grandparents’ generation of organizations, winning was often defined quite simply - as producing the most widgets for the least amount of money. Profits along were the name of the game to companies and a paycheck was all that mattered to employees. But times have changed. These days, leaders understand deeply that aligning their organization to a deeper, rooted purpose - and ensuring that their employees and even customers are bought in to this purpose - is critical. Purpose mobilizes an organization in a way that profits alone cannot; today’s most successful companies consistently thread purpose and values throughout their organizations, including hiring, training, customer delivery, and performance management. In this talk, Ginger will inspire with insights from category-leading companies that are harnessing a well-defined purpose to propel their success. 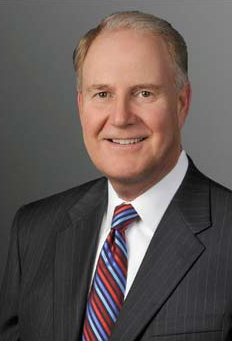 Ginger Hardage is exclusively represented by CAA Speakers. To learn more about Ginger speaking to your organization or conference, please fill out the form below.